Sorry for the delay since the last lake report. I’ve been thawing pipes and I’m sure all of you have been doing that too. 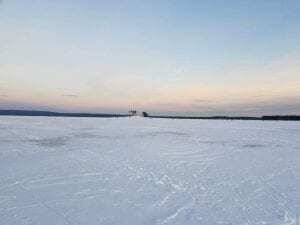 As you all know the last two weeks have been brutally cold, which has produced 12″ of perfect, solid, clear ice on the Sacandaga Lake. -25 on Sunday in Northville! 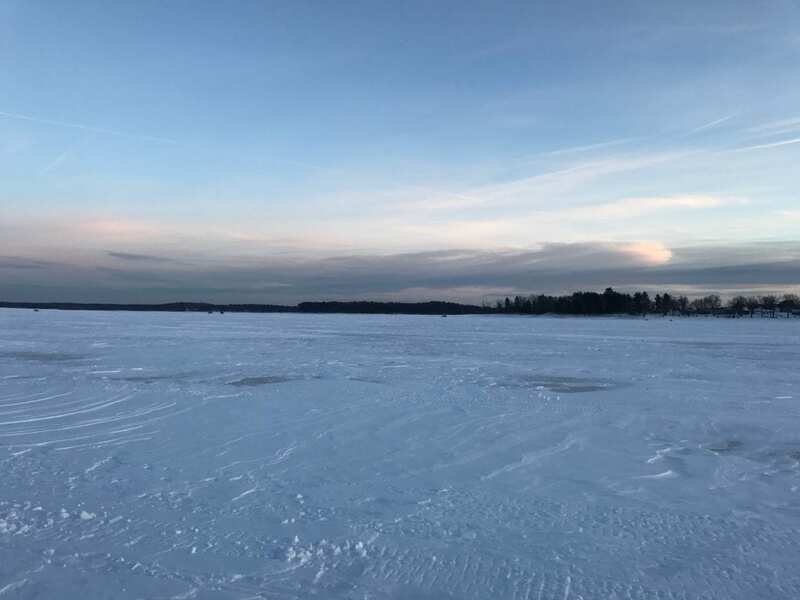 Some areas are reporting up to 15″ but there is no less than 12″ of ice on the entire lake until you get north of flagpole point, which is a few miles from the dam. 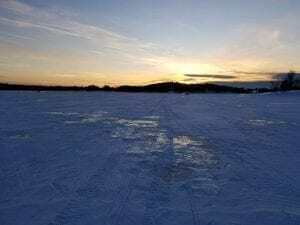 There’s a perfect amount of snow on the ice so you can use 4-wheelers and side by sides, but there’s still enough lubrication for snowmobiles. Incredibly there’s not a lot of heaves. There’s one on the shore in front of Lanzi’s so be careful getting on and off the lake there. Even stump alley is fairly flat due to all the snow drifting into the low spots. Conditions for riding may change a little this week due to warmer temperatures and more snow on the way. But the ice thickness and strength should not be affected. Walleyes have been biting fairly decent in the afternoon, but the Northerns have been really biting above average and their size is above average for this time of year. Don’t leave beer in your sled overnight.